hen, during one of his visits in Japan, at the Tokyo International Audio Show exhibition, Gerhard Hirt asked those who came to his presentation how many of them had over 10,000 Compact Discs at home, almost half of the participants raised their hands. It was supposed to be a joke – an introduction to the fact that the best time for that format was gone and that music lovers had two choices: either to return to vinyl or to jump into the unknown, i.e. hi-res files. That seemingly unimportant event gave the owner of the Ayon Audio company some food for thought. 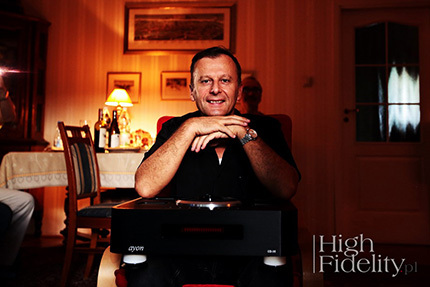 He is a man of the analog himself, but has been offering excellent CD players for many years and, thanks to his close cooperation with his friends from the Austrian StreamUnlimited Engineering company, he has had access to the latest technologies connected with CD (and SACD) transport control, as well as to digital signal processing systems. In spite of that, he was convinced that those were the last days of the format – and he was not the only one. In contrast to others, Gerhard decided to do something about it. The result of those efforts was the CD-35 player, available in two versions: Standard and Signature (read HERE and HERE). The device was designed as a high-quality CD player with a bonus – the possibility to play SACDs. A really good drive (but not the best one, as Gerhard himself admits) was used in it. The player produced as good sound as similar devices costing two or three times more, mainly as a result of work on the drive control software and an innovative digital section. It is clear that a tube output circuit with tube amplification also did their job. However, it was the digital section that brought the sound to a level thanks to which the CD-35 became one of Ayon Audio bestsellers – a device that is discussed, talked about or even argued about by many people. The player had its world premiere during the 105th meeting of the Krakow Sonic Society in November 2016. Soon afterwards, its first review ever was published, also in “High Fidelity”. It was because we already knew then that the device was Gerhard’s and his people’s success – created by a group of engineers and their friends who listen to prototypes together. A special thing about it was that an exceptionally functional device producing unique sound was offered at a sensible (as for high-end) price. While listening to music with Gerhard then, it came to Janusz’s (the host’s) and my mind that this could somehow be continued. In the end, one of the basic limitations imposed on the CD-35 was the price that was not to exceed €10,000. So, in December the same year we met the Ayon Audio owner at a pleasant restaurant at the Old Town Market Square in Cracow, where we agreed that we would prepare a special version of the CD-35 that would somehow honor our passion. 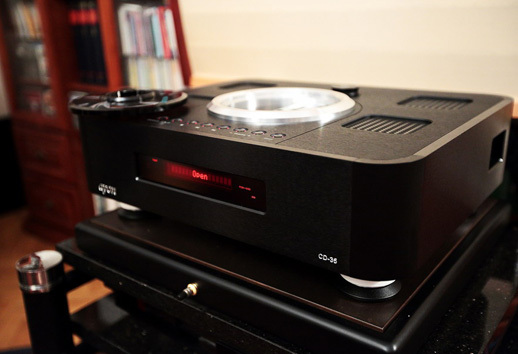 Based on our suggestions, on feedback from users and the Ayon Audio design team members’ own ideas, the “no-compromise” CD-35 High Fidelity Edition player (“HF Edition” for short) was to be created. The starting point was the CD-35 Signature model, so the form and structure of the device were to stay the same. It seemed to Gerhard, as he says, that it would be a quite simple operation (if anything can be simple in such cases), i.e. he would change, improve, replace or enhance something – in the end, the budget was to be much bigger than in the case of the CD-35. That did not happen. Subsequent changes made it necessary to change things further and improvements necessitated further improvements, etc. For example, when 2-Watt resistors in the tube circuit were replaced with their tantalum equivalents (€20/unit, bought at a discounted price using our informal connections, 20 per player), it appeared that the power supply circuit had to be changed, as it was possible to make it better. That meant redesigning the whole circuit board. When the output circuit was ready, the DAC section was looked at. In the standard version that was the AKM AK4490 circuit which proved to be very effective in this role. This time, a decision was made to try out its special selected version – the AK4490EQ. Gerhard did not expect too much but the changes surprised them all – the sound became dark, dense and less “artificial”. Although the sound of the CD-35 did not previously lack anything, there was no turning back as comparisons always demolish the current hierarchy. In order to be able to make the change, Ayon Audio had to prepare full implementation documentation for that DAC and send it to Japan, to the AKM company, with a request for approval. The Japanese reserve the right to issue opinions on circuits using the EQ version. When permission was granted, Gerhard breathed with relief. 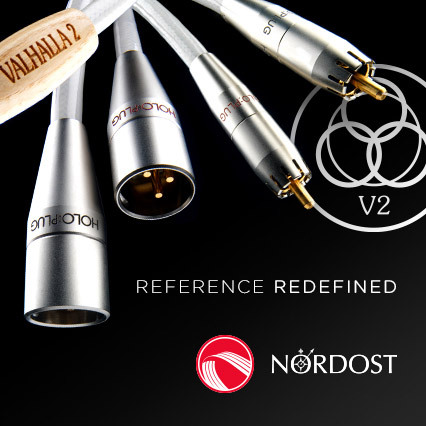 There were more such changes and their range surprised everyone in Ayon Audio. The company owner told me that if he had known things would change like that, he probably would not have decided to do it all, as the project was very costly and took him a lot of time. He will get no return on the investment and could have spent the time on profitable projects. Profits from the sales of the CD-35 HF will never cover the amount of money spent on its development. It is because it was to be a prestigious project since the very beginning, some kind of a quest of friends, such as the Argonauts looking for the mythical golden fleece. Moreover, had it not been for the success of the basic versions of the CD-35, the HF Edition version would have never been created. It is a strictly limited version – only 50 units have been manufactured, i.e. less than nothing. It is enough to mention that Ayon Audio has 55 distributors all over the world. Each ordered a few to several units straight away already before the version was created. 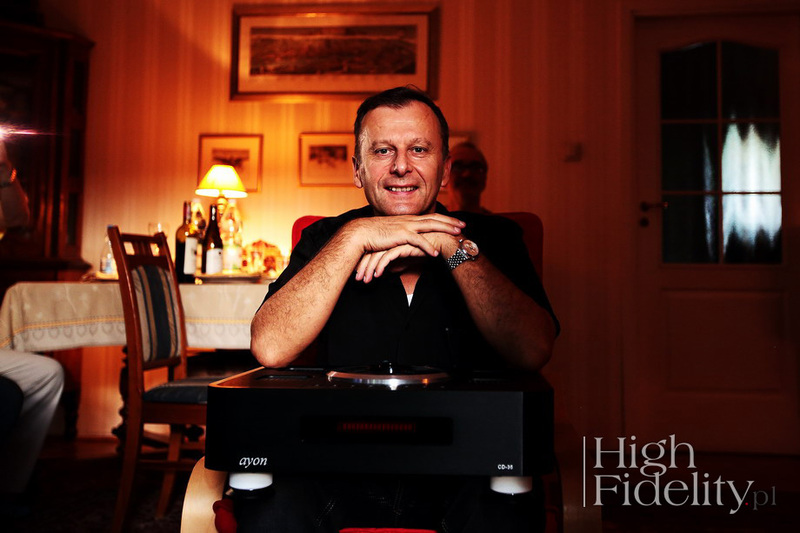 Now it is up to people from Ayon Audio to divide them somehow… Each unit has a special plate at the back panel, with the “High Fidelity” logo, a subsequent number (x/50) and Gerhard’s signature. One of the most important features of the HF Edition is the presence of anti-vibration Franc Audio Accessories Ceramic Disc feet in a special finish. The RCA plugs (WBT NextGen) are also new. When it comes to elements such as the buttons, cooling shields or the cover holder, etc., they are black. Only the CD chamber collar remains silver. One of the most important changes was the change of the point of reference for sound. For many years, Gerhard had been using a turntable (also the expensive Lumen White). This time, partly under the influence of articles from “High Fidelity” and partly because of the suggestions of Dirk Sommer from hifistatement.net and Sommelier Du Son, the point of reference was an analog master tape. Two Studer tape recorders were bought for Ayon Audio specially for this purpose and tapes were lent by Dirk. I do not think I need to remind you that the LP and tape are two different worlds, so the effect of this change had to be special. Just like previously, Gerhard himself brought the player to the meeting. As he said, the device had only been used for 24 hours and needed ca. 100 hours for a full warm-up time. He also remarked that tube devices should not be left turned on at night. It is because supply voltage increases at night, usually to considerably more than 230V, which badly affects their lifespan. The new Ayon Audio player was compared to our reference Ancient Audio Lektor Grand SE player (A/B and B/A comparisons, where ‘A’ was the Ayon Audio player and ‘B’ was the Ancient Audio player. After the first part, we had a short break. Each participant brought one or two (SA)CDs and we listened to a 2-minute part of one track from each of them. We only compared CDs and then listened to SACDs after the official listening session. Frankly speaking, I do not know how to adequately summarize this listening session, but I know one thing: the difference is enormous. The sound of the Ayon Audio player is much deeper, has better dynamics, more space and depth, and there is mass in this sound. These are the main differences that repeatedly characterized each piece of music that we listened to, no matter what type of music it was. However, I will also say that some things were more precise with the Lektor. Despite that, if I were to compare pros and cons, I would give 20 – 30% to the Lektor and 70 – 80% to the Ayon Audio player. It is no use analyzing details as the new CD-35 is simply fantastic. I must put it this way: I know one should not use bad language in such a magazine, but if I could use one strong word, I will do it in a moment. I have been coming here for about 15 years and my point of reference has always been my first visit that completely blew me up and redefined my idea of what should be pursued in sound, of what is important and what is not. After these 15 years I am totally fucked to pieces by how the Ayon CD-35 High Fidelity Edition played music. This is sound that is absolutely out of this world, incomparable to anything else – enormous, emphatic and dynamic, showing events in a “fleshy” way. What we heard at the previous meeting and what seemed to be great now comes across as rickety when that system can be compared to the Ayon player and there is absolutely nothing to talk about (the comment is related to the first part of the Krakow Sonic Society meeting No. 111 when we tested a new Ancient Audio amplifier – an article is going to be published in September – Editor’s note). None of these pieces of music – jazz, classical or electronic – sounded as outstanding with the Ancient Audio as with the Ayon Audio player and the difference is exceptionally huge. For example, Personal Jesus performed by Marylin Manson that me and Bartek saw literally a moment ago in Katowice and that proved to be extremely badly recorded, was possible to listen to with the Ayon Audio player. It still sounded like a badly recorded album but I had no problem with listening to it, whereas with the Ancient Audio player it sounded terrible and there was no music in it at all. One could have as well play it on a portable CD player and it would have sounded better. Why talk about it a lot if there is nothing to talk about, as our host says. For me, this is undoubtedly “The Sound of the Year” – at least “the year”. Similarly to Tomek, since I came here for the first time (i.e. some ten years ago), it has been the point of reference for me, especially when it comes to the soundstage and dynamics. For the first time I hear something that, as Tomek says, fucks to pieces. It is as Gerhard said – it is sound close to a master tape – it moves towards this direction. The main feature of the sound of the Ayon Audio player is that it, similarly to the sound of a master tape, seems a little flat (at least at the beginning). It is very broad, but not deep. I missed that sometimes as the Ancient Audio player does it in a spectacular way. Nevertheless, it did not mean anything. There is only one player that I would like to compare the Ayon Audio device to – the Chord Blu MkII i DAVE, but here and now the Ayon Audio player rules. I respect the constructor of the Ancient Audio player but it seems to me that this is the moment to pass the crown to a new king. It is a very interesting event – these two devices differ significantly. I experienced the phenomenon of adaptation – adaptation to sound. As I had come to the meeting earlier, I had been listening to the device already since 1 p.m. When we turned the music on for the first time (and it was only classical music), I paid attention to an exceptional amount of low midrange in the sound – there was a lot of it and it seemed to me to be too much, although the whole thing was great straight away. I like it – I play music using an Ayon Audio source (transport + DAC) myself, but it seemed to me that there was a surplus of it in the CD-35 HF Edition. I also got the impression that the sound was a little heavy and that too dark. While I was listening, my perception was changing – when I listened to Yes, for example. Now I know that this is not the problem of the Ayon Audio player but the Ayon Audio and Ancient Audio players are simply and literally like the day and night. When we started listening to the Ancient Audio player during the first round of the listening session, I had the impression of being suddenly exposed to full sunlight – I experienced shock and an unpleasant feeling of sharpness. While I was continuing to listen, I liked some of the albums (like Barney Kessel) more with the Ancient Audio player, but Mozart, for example, was really more interesting, pleasant and physiological when I listened to it on the Ayon Audio player. Apart from that, what Marcin said is true, indeed – the sound is denser, fuller and heavier – there is mass. I would not cross the Lektor out as it is still an outstanding device, but here and now I am astonished by the sound of the CD-35 HF Edition.